Are you asking everyday what’s in it for the horse? With training? With lifestyle? With diet? With feet? With relationship? 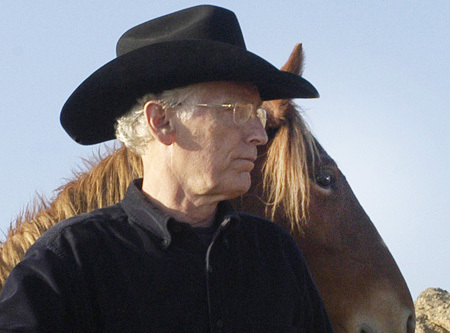 What’s in it for the horse? Not what’s in it for me? Until then you cannot even imagine how good things can be. 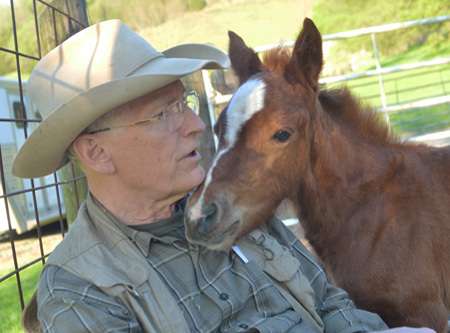 During our relatively short journey with horses we began to understand early on that What’s in it for the horse? should be the only question. And not just related to training, but to Lifestyle, Diet, Feet, the concept of Liberty, as well as Relationship. 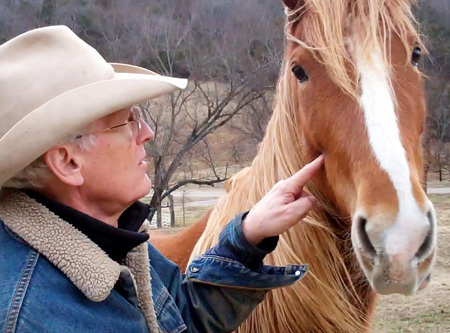 And that only by understanding all of these from the horse’s perspective could we begin to approach that illusory state of mind referred to as Horsemanship. 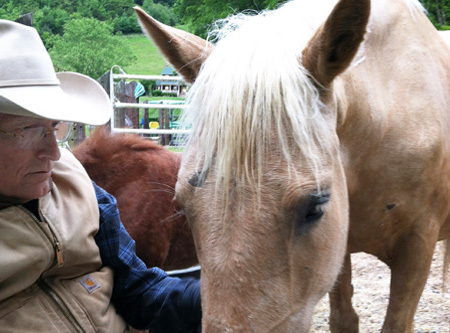 We were discovering that our way to horsemanship could never be about how well we ride, or how many trophies we win, or how fast our horse runs, or how high he or she jumps. 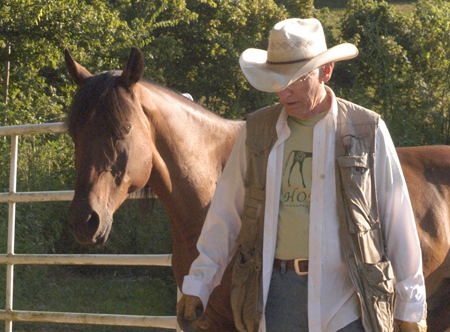 For almost seven years now we have spent our days and nights attempting to discover the mysteries of the horse and have found it to be a never-ending journey. But the rewards are an elixir. The soul prospers from sharing, caring, relating, and fulfilling. Nothing can make you feel better than doing something good for another being. Not cars. Not houses. Not facelifts. Not blue ribbons or trophies. And there is nothing more important in life than love. Not money. Not status. Not winning. Try it and you will understand what I mean. Apply it to your horses, and your life. 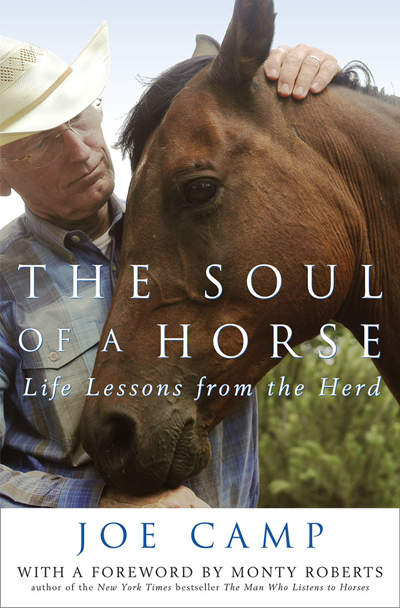 It is the synthesis of The Soul of a Horse – Life Lessons from the Herd and why it came into being. See the world from the horses’ end of the lead rope. Give them the choice of choice. Care enough to want them to be healthy and happy. It will come back a hundredfold. 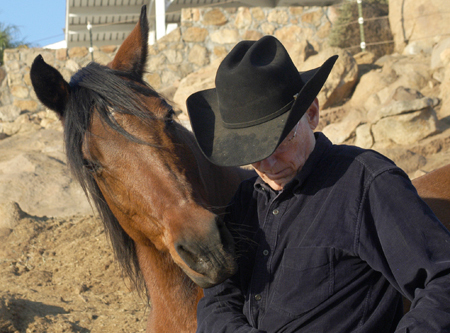 There are many who teach relationship, riding, and training with principles of natural horsemanship. Others support the benefits of going barefoot with the wild horse trim. 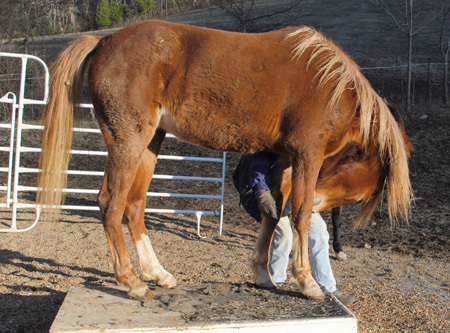 Still others write that your horse should eat from the ground, and live without clothes and coverings. 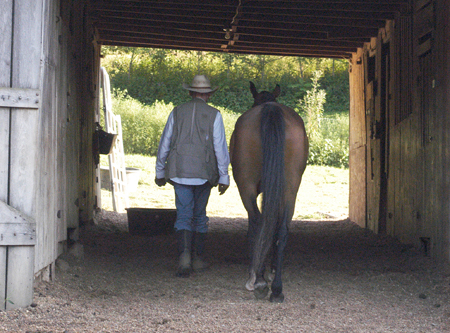 Some promote day and night turnout, where your horses can move around continuously. But few have explored how dramatically one without the other can affect the horse and his well being. 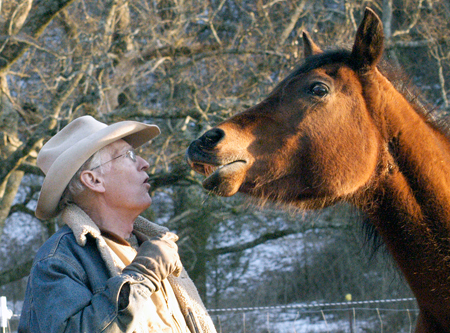 Few have put it all together into a single philosophy, a unified voice, a complete lifestyle change for the domesticated horse. When I gave my Cash the choice of choice and he chose me, he left me with no alternative. No longer could it be what I wanted, but rather what he needed. What fifty-two million years of genetics demanded for his long, healthy, and happy life. I’m still astonished when I think where Kathleen and I began such a short time ago, and the impact our discoveries have had on so many. 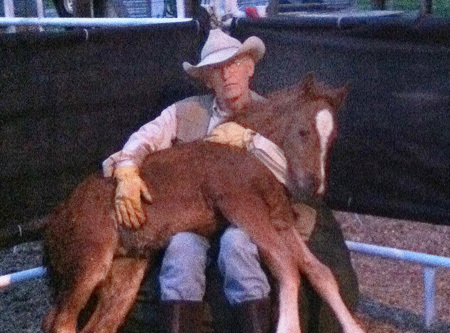 But there are still too many training with dominance and cruelty, cooping up their horses in small spaces, weakening their natural immune systems, feeding them unnaturally, creating unhealthy hooves and bodies. All because most folks actually believe it’s the right thing to do. Yes, I suppose there are some who still only want a beast of burden. Do as I say. Make me a winner. Jump higher. Run faster. Slide farther. People who care not about having a relationship with their horse, and who will, when confronted, continue to care not about the health and happiness of their horse. 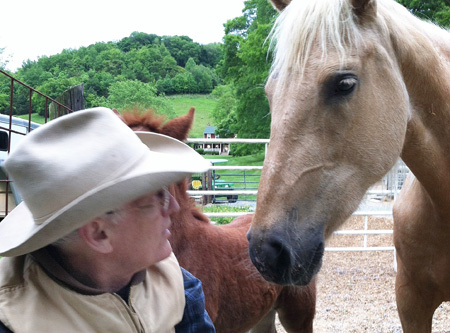 But I believe that most horse owners today care about their horses and are operating, as we once were, with little more than emotional logic, old wives’ tales, and very little real knowledge. I hope our books and efforts will be a crack in the armor, a small breeze if not the strong winds of change, a resource for what needs to be done. Please list the names for each inscription in the “Special Notes” field as you check out! I shared this story on Facebook, as I often do. I just wish I could help my other horsey friends discover these wonderful ways and the super bonus of allowing our horses to live a natural life. In these days of organic growing and eating and trying to turn to more natural ways you would think that more people would hear. Keep writing, Joe, and I will keep on sharing. Thank you Buffy. We’ll keep trying. Thank you, Joe. You said it so well, as usual. 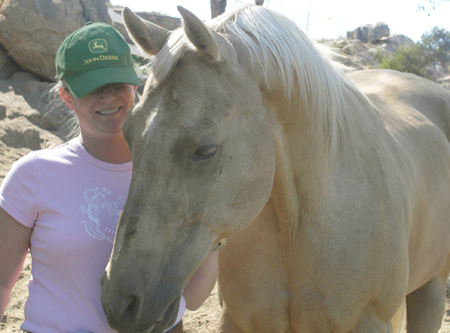 I love that each one of my six horses, mini-donks, and mule come to me whenever I call, even if I just threw fresh hay. I know I’m doing right by them physically: no stalls, no shoes, no sugar, natural barefoot trim every three-to-four weeks, a simple diet of whole oats with The Natural Vet’s “Feed for Success” plan, and we’re setting up a Paddock Paradise this summer. 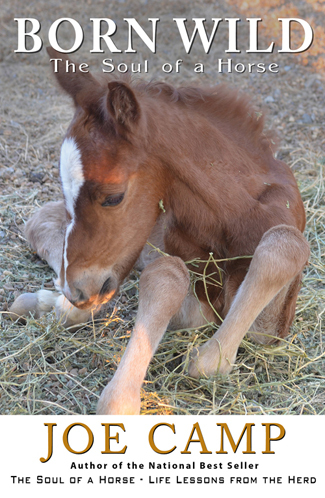 I just hope I’m doing right by them emotionally, as well, nurturing their spirits and letting them be horses. They’ve each taught me so much, especially patience and softness. 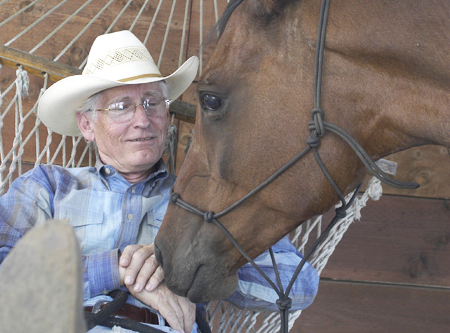 “The Soul of a Horse” gave me the courage to follow my instincts about better horse care, and trying to make it as natural as possible. We pulled them out of a horrible boarding barn, bought some property out of state, and began happier and healthier lives. That was three years ago, and we’ve never looked back. I will always be grateful for that book. very well said and so true. My husband and I tried this aproach and it works. 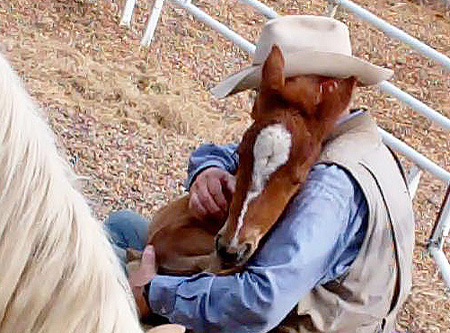 We see so many “event horses” with their owners, they can dance on cue, have exactly the right stride, bow a.s.o, but none come running to their owners when they come to the barn or tolerate to get hugs and kisses. 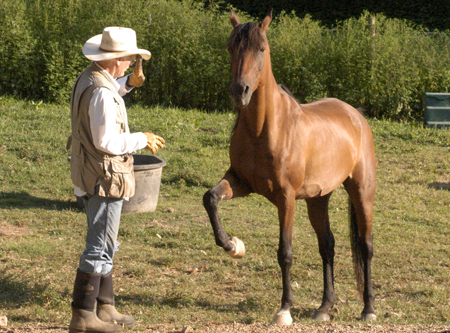 A few months ago while trail riding, my horse Cooper reacted to another horse spooking and caught me by surprise. I lost my balance and jumped off while he kept on going. All I had to do was call his name, he stopped and with the most surprised look on his face seeing me standing there, came trotting back to me. He then put his head on my shoulder and looked very apologetic. I never saw a trained dressage horse or race horse do that. Our horses Blanco and Cooper are our best friends and we are grateful for the love they show us every day, as we show them our appreciation.